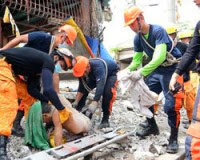 On Tuesday a deadly earthquake erupted in Philippines killing no fewer than 93 people as it generated landslides that buried homes, and destroyed historic churches. The most deadly hit are Cebu, the country's second most important city and a gateway to some of its most beautiful beaches, the national disaster agency reports. The 7.1-magnitude quake killed another 77 people in the neighbouring island of Bohol, famed for its rolling "Chocolate Hills", while one other person died in nearby Siquijor, which attracts tourists with its pristine white sands. 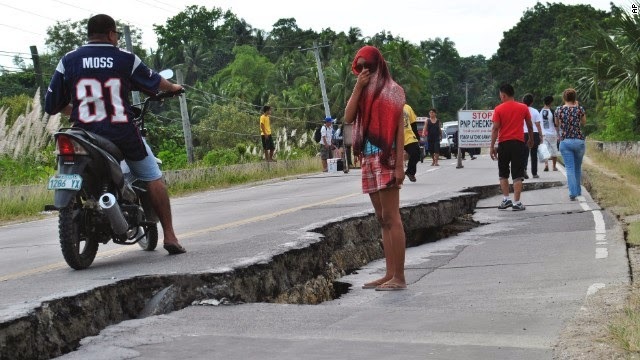 Authorities said the death toll could still rise, with officials struggling to assess the extent of the damage in the worst-hit areas of Bohol where roads remained impassable and power was cut at nightfall. Bohol police chief, Senior Superintendent Dennis Agustin, said one of the worst affected areas was the coastal town of Loon, where at least 18 people were killed by landslides that buried houses along large stretches of highway. Loon is about 20 kilometres (12 miles) from where the epicentre of the quake struck at just after 8:00am (0000 GMT). It faces a narrow strait of water, with Cebu about 25 kilometres away on the other side.